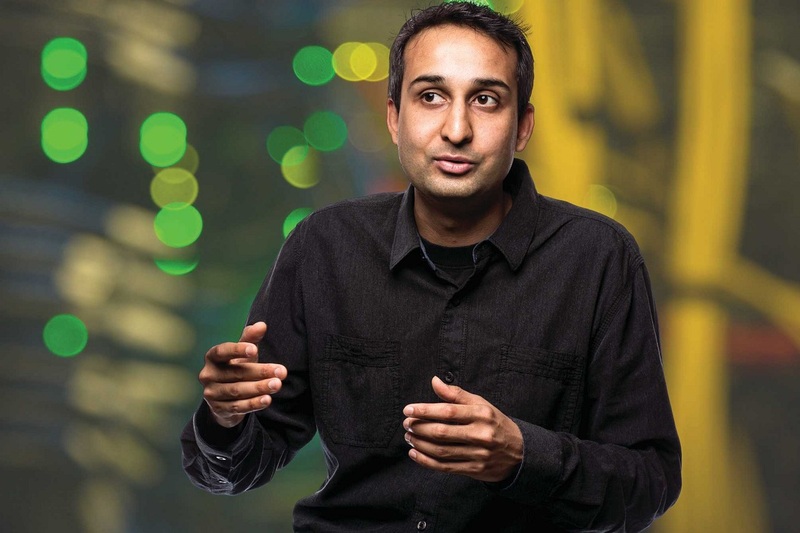 The Center for Data Innovation spoke with Saket Navlakha, assistant professor at the Salk Institute for Biological Studies, a research institute in San Diego, California. Navlakha discussed how studying the sense of smell could advance machine learning research as well as how computer scientists could learn to model their algorithms after nature. Joshua New: I recently read about your work to develop artificial neural networks modeled after how neurons process information from olfaction—smelling. Could you explain this work in layman’s terms? Saket Navlakha: For computer scientists and computational neuroscientists, the dream has always been to understand the brain well enough that we could translate its principles to improve machine computation. The olfactory circuit of the fruit fly is one particular part of the brain that has been studied very intensely, especially over the last decade. Due to advances in technology, we can now perform very detailed experiments to understand how this circuit processes odors. We have been studying how the fruit fly solves a problem called similarity search for odors. This problem studies how fruit flies generalize behaviors they have learned for an odor, such as “approach odor A because it’s tasty, but avoid odor B because it’s toxic!,” even if the odor they experience is not exactly the same as the one they originally smelled. This is an important problem because odors are noisy, and the chance that you’ll experience the exact same odor twice is really small. So by performing a type of “similarity search” for odors, the fruit fly can find previously experienced odors that are similar to a new one, and apply the same behaviors. It turns out that computer scientists have long studied this problem, but just under a different guise; for example, on Spotify, if you play a song, they will find songs similar to the one you played, and suggest those. By studying how fruit flies solve similarity search for odors, we learned some tricks that computer scientists also found helpful in their world! We’re now studying another problem that fruit flies solve, called novelty detection, to understand how fruit flies can distinguish between novel and familiar odors—another very basic computer science problem. New: What are the advantages of developing algorithms modeled after olfactory circuits rather than visual ones? Navlakha: Insights from the visual circuitry has inspired many types of neural networks, and for good reason! The olfactory circuit, however, appears to use some different information processing strategies than the early visual system. For example, in the visual world, a mapping is created, where each part of visual space is encoded by some small number of neurons. For olfaction, chemical space is not as cleanly defined as visual space and it turns out that there doesn’t appear to be a simple mapping. In fact, it’s the opposite—an anti-map—which means that for each odor, almost all the neurons respond at different firing rates. So with different types of sensory modalities, there appear to be different types of information processing strategies. New: In theory, could one take the same approach but modeled after other sensory inputs, such as hearing or touch? Navlakha: Yes, absolutely! Many of the problems we are studying—similarity search, novelty detection, and background subtraction—are basic problems that pretty much all sensory system have to solve, in one form or the other. For example, in hearing, we can confidently and accurately say, “I’ve never heard this song before,” which is exactly novelty detection! One advantage of the olfactory system is that the circuit mechanisms used to solve these problems are getting mapped out in very fine detail, particularly in the fruit fly. But there are many labs around the world studying other systems such as hearing and touch, and there’s certainly a lot we can learn from them. There is also evidence that some of the computational strategies used in olfaction may have also evolved in some, though certainly not all, brain regions and species; so by getting a better understanding of how olfaction works in fruit flies, we hope to reveal deeper principles that generally apply, including to humans. New: You mentioned how it is only because of recent advances in technology that you can study and understand the olfactory circuit. Are there any other areas where technical bottlenecks prevent you from understanding neural pathways as well as you would like? Navlakha: There’s been a large push, for example from the Brain Initiative, a public-private research initiative to improve understanding of the brain launched by the Obama administration in 2013, to develop technologies that allow us to record and manipulate the activity of thousands and thousands of neurons at the same time. These advances, coupled with advanced imaging techniques, data analysis pipelines, and genetic tools, have really put us in a position to do serious quantitative work understanding how neural circuits work. As these technologies mature even further—recording from larger populations of neurons, tracing their anatomy across millimeters of tissue, and doing these experiments in-vivo and over longer time-scales—they will allow us to further connect the structure of circuits to emerging behavior. Although developing these technologies is not the focus of my lab, we collaborate with those who do. It’s a really exciting time to be a computer scientist interested in the brain! New: You just received a grant from the National Science Foundation to carry out a study titled “Algorithms in nature: uncovering principles of plant structure, growth, and adaptation.” What do you hope to learn from this? Navlakha: The broad theme of my lab is to study “algorithms in nature,” which is the idea that biological systems have to solve problem to survive, and the strategies they evolved to solve these problems can be viewed as “algorithms.” Computational neuroscientists have well-embraced this idea for many decades now, as the brain has always been viewed as a collection of algorithms. But I think this idea applies to many other areas of biology, including in plant biology. This grant is hoping to discover algorithms that plants have evolved to modify their architectures to find light and nutrients, to deal with competition, and to grow and adapt to changing environments. We hope to take what we learn and use these ideas to improve plant phenotyping and ultimately build better crops with higher yields, in collaborations with experimental biologists. On the other hand, we hope to tackle new computational problems inspired by plant growth and optimization. So, we hope it’s a bi-directional win!